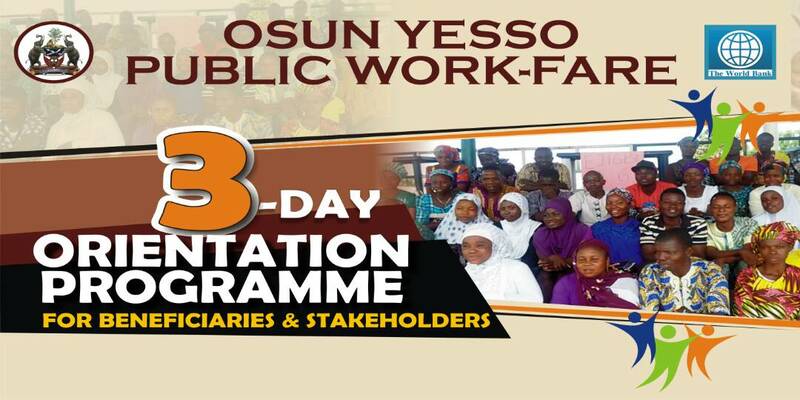 The World Bank, in partnership with the government of Osun state, is set to empower over 1000 youths who are beneficiaries of the Public Workfare (PWF), under the Youth Employment and Social Support Operation (YESSO) of the bank. The screening of the beneficiaries is ongoing at the camp of the National Youth Service Corps (NYSC) in Ede, Osun state. The bank had gone round the rural areas in the state to determine poor communities that needed to be accommodated in the empowerment project. Using the official poverty map of the state, the bank was able to identify about 300 locations in the state that needed to be empowered. 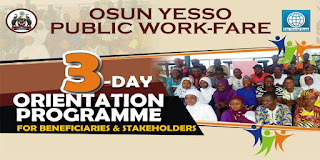 It was gathered that the World Bank had seen the impact of the Osun Youth Empowerment Scheme (OYES) and how many youths had benefited from the initiative of Governor Rauf Aregbesola led administration, hence its resolve to further empower more youths in the state. Empowerment scheme has been discovered to be a source of engaging teeming unemployed youths roaming the streets of the state. 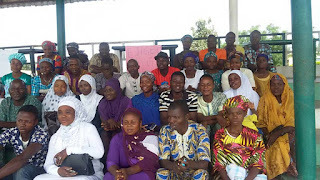 Hence, this programme was initiated to assist and alleviate the poverty levels of the youths from poor households as being identified by their respective communities in the state. At the Ede camp, over 1000 youths had beseiged the screening centres while officials of the World Bank and state government were on ground to attend to them. Amiloaded learnt that the required age for participation has been pegged between 18-35 while the minimum academic qualification is JSS2. The empowerment engagement would span 2 years. The programme has commenced on a pilot scale with 13 local government areas in the state but it is expected to accommodate other councils before the year ends.